Today the Board of Directors of Johnson & Johnson announced a quarterly dividend increase of from $0.75 to $0.80 per share that’s payable June 7, 2016 to holders of record May 24, 2016. 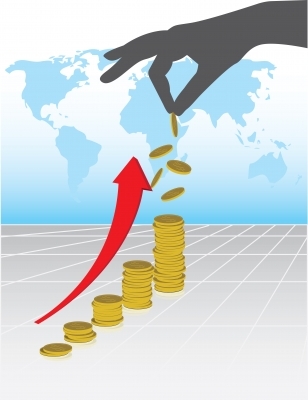 This represents a 6.67% increase to regular quarterly dividends. With current price $112.10 (todays open), this raise brings their dividend yield to 2.85%. "In recognition of our 2015 results, strong financial position and confidence in the future of Johnson & Johnson, the Board has voted to increase the quarterly dividend for the 54th consecutive year," said Alex Gorsky, Chairman and Chief Executive Officer of the company. Since I own 60 shares, this will increase my portfolio's projected annual net dividend income by $8.94. That increase rises my YOC to 3.28%. Yesterday Omega Healthcare Investors, Inc. announced a quarterly dividend increase of from $0.57 to $0.58 per share that’s payable May 16, 2016 to holders of record May 2, 2016. This represents a 1.75% increase to regular quarterly dividends. With current price $34.99 (yesterday's close), this raise brings their dividend yield to 6.63%. Today the Board of Directors of Unilever announced a quarterly dividend increase of from € 0.302 to € 0.3201 per share that’s payable June 1, 2016 to holders of record April 29, 2016. This represents a 5.99% increase to regular quarterly dividends. With current price € 39.95 (today's open), this raise brings their dividend yield to 3.21%. Since I own 50 shares, this will increase my portfolio's projected annual net dividend income by € 2.70. That increase rises my YOC to 3.72%. 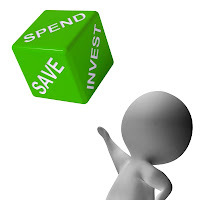 The first quarter has already passed and it is time to look at how it went and how I managed in my saving goals and how my journey towards financial independence is progressing. Since this is the second year when I keep a stricter control of my spending, I will also make a comparison with last year's results. As I mentioned in my first income / expenditure report, I will make a summary on a quarterly basis, because my months in the case of income are very different. This will give me a better view of the overall situation and hopefully will inspire some of my blog readers. 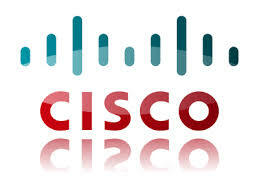 March 31, I Bought 50 shares of Cisco Systems, Inc. at $ 28.40 per share plus commission. Cisco Systems, Inc. designs, manufactures, and sells Internet Protocol (IP) based networking products and services related to the communications and information technology industry worldwide. It provides switching products, including fixed-configuration and modular switches, and storage products that provide connectivity to end users, workstations, IP phones, wireless access points, and servers; and next-generation network routing products that interconnect public and private wireline and mobile networks for mobile, data, voice, and video applications. The company also offers service provider video infrastructure, including set-top boxes, cable/telecommunications access products, and cable modems; and video software and solutions. In addition, it provides collaboration products comprising unified communications products, conferencing products, telepresence systems, and enterprise mobile messaging products; data center products, such as blade, rack, and modular servers, fabric interconnects, software, and server access virtualization solutions; security products, including network and data center security, advanced threat protection, Web and email security, access and policy, unified threat management, and advisory, integration, and managed services; and other products, such as emerging technologies and other networking products. Further, the company offers wireless products consisting of wireless access points; network managed services; and standalone, switch-converged, and cloud managed solutions. Additionally, it provides technical support services and advanced services. The company serves businesses of various sizes, public institutions, governments, and communications service providers. Cisco Systems, Inc. sells its products directly, as well as through channel partners, such as systems integrators, service providers, other resellers, and distributors. The company was founded in 1984 and is headquartered in San Jose, California.